The new 9201 model is designed to dewater and fine-tune sand to a level not typically possible with traditional sand-dewatering equipment, while also using less water, according to Kolberg-Pioneer. Kolberg-Pioneer Inc. has expanded its sand processing plant line to include the new 9201 model. This system is designed to dewater and fine-tune sand to a level not typically possible with traditional sand-dewatering equipment, while also using less water. 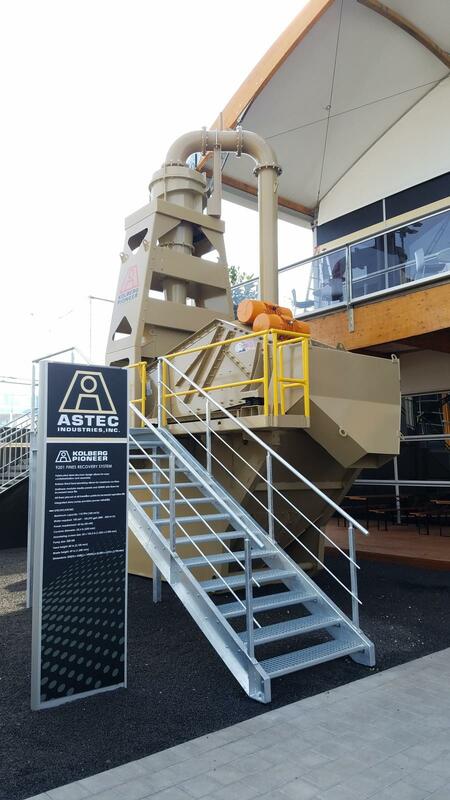 The custom-built systems are available in portable, semi-portable and stationary configurations with various types and quantities of cyclones, pumps and dewatering screen sizes. "The 9201 is a very customizable unit that can be built to fit any application. The plant has many adjustable features like the deck liner and discharge dam and easy-to-replace parts for quick and simple maintenance," said Brett Casanova, product manager at Kolberg-Pioneer. For more information, call 605/668-2680 or visit www.kpijci.com.